Wayne and Main Line Philadelphia drivers have been coming to Land Rover Main Line for years because they know we work one-on-one with each driver to craft the perfect SUV for their needs. Vehicles like the Land Rover Discovery Sport represent an easy entry into the luxury SUV world for area drivers, with standard all-wheel drive and luxury features while the classic Land Rover Range Rover and other models have access to powerful supercharged engines and advanced off-road capabilities. With this kind of variety, we’re confident there’s a crossover in our new vehicle inventory that’s right for you. Our pre-owned vehicle selection has one of the widest varieties of vehicles, including Certified Pre-Owned Land Rover models with added warranty coverage. If you’re planning to take your Land Rover out on the trail, be sure to visit our service center regularly for routine maintenance and check-ups. Our technicians are trained in caring for the entire lineup of Land Rover models, knowing them inside and out to minimize your wait time when you visit us for repair and maintenance work. When it’s time to trade in your Land Rover toward a new one, we’ll be happy to add it to our pre-owned inventory and apply its value to a new model, with a finance expert helping you bridge the gap with a loan that fits right into your budget. 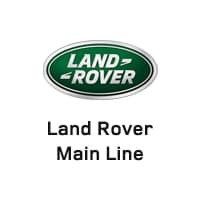 You can even apply for financing online to cut down on wait time between when you arrive at Land Rover Main Line and when you drive off behind the wheel. Our Wayne, PA location makes us convenient for Main Line drivers and those in the greater Philadelphia area. Contact us online or by phone at (610) 756-1738 to schedule a test drive of a brand new or Certified Pre-Owned Land Rover and be ready for the next off-road adventure!